Be attuned to become a confident Reiki Level 2 channel, learn to give distant Reiki, and learn to give a deeper level of Reiki, using sacred symbols. Reiki is one of the most well-know energetic treatment modalities and is often the first modality that we undertake when journeying along our spiritual path. 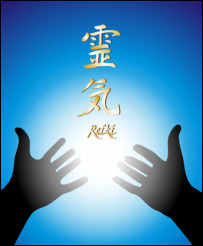 Reiki 2 Workshop is the second step along this journey. Some people continue on to complete Reiki 3 Master Practitioner Course, however it is not necessary.